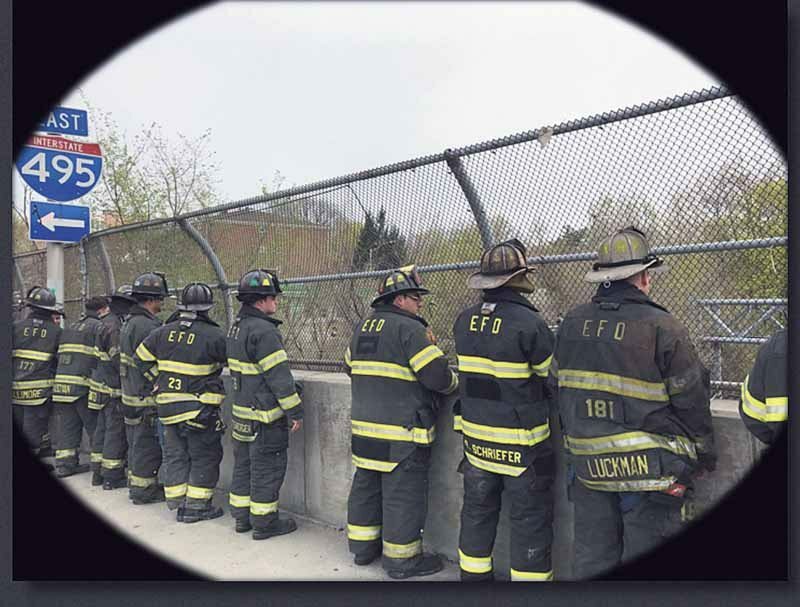 Sometimes, you witness something for a moment. 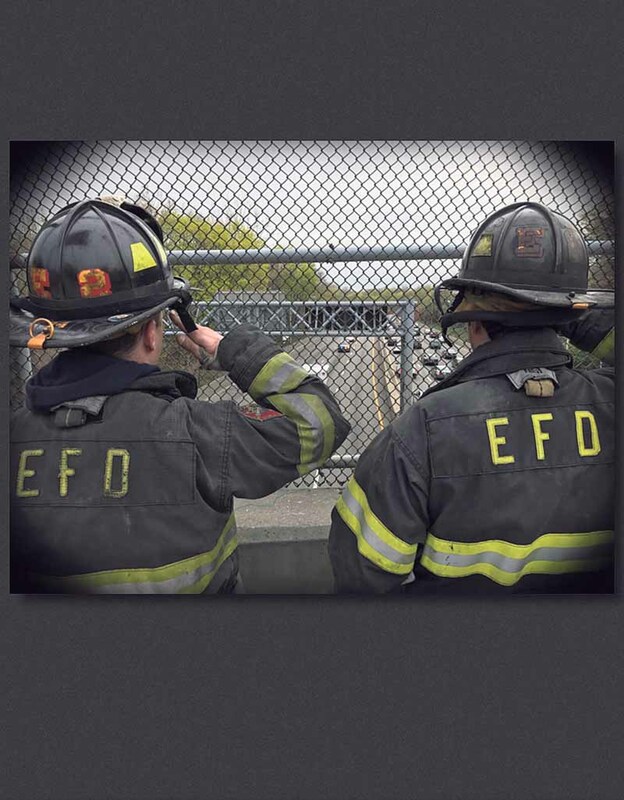 In this case, I came upon a scene that was in progress. I was taken back, time suddenly stopped and feelings overwhelmed me. 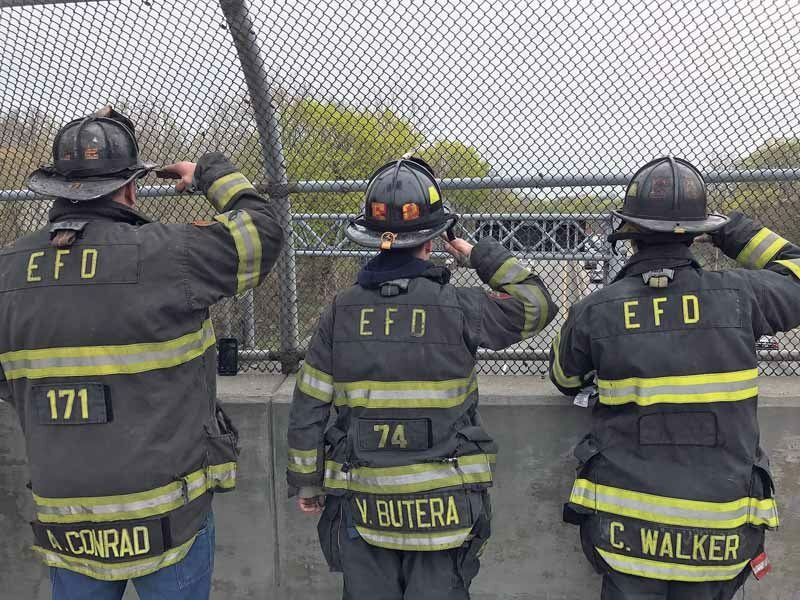 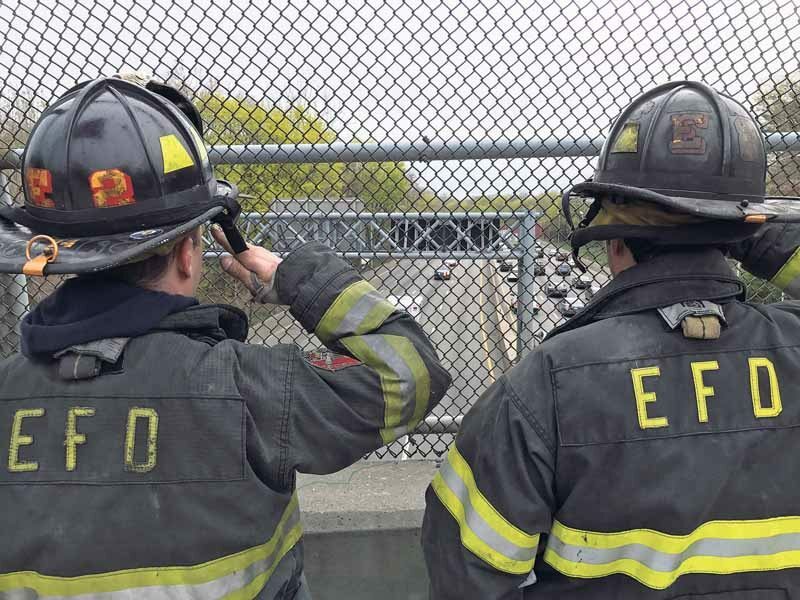 I was walking over the Long Island Expressway in Douglaston on Friday, April 21, when I spotted a tribute to New York City firefighter William Tolley, a 14-year veteran of the department, who died on Thursday after falling from the roof of an apartment building while battling a fire in Ridgewood, Queens. 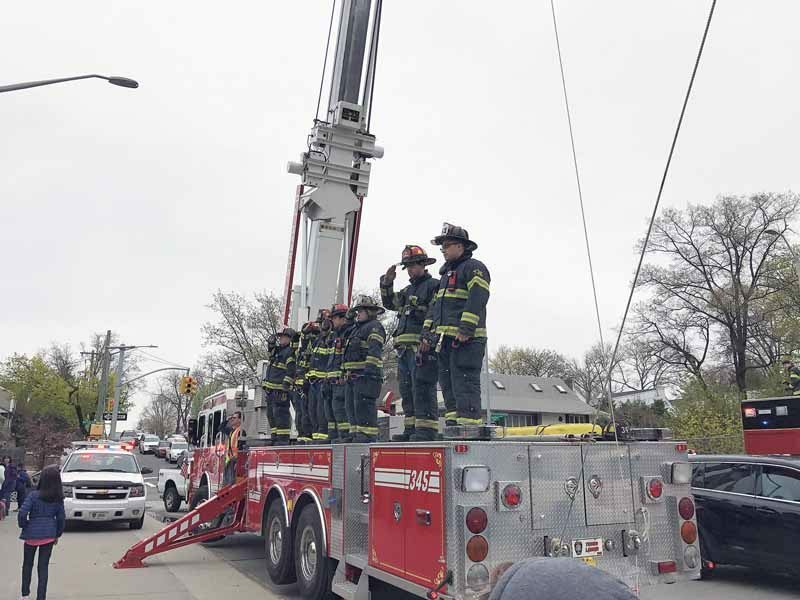 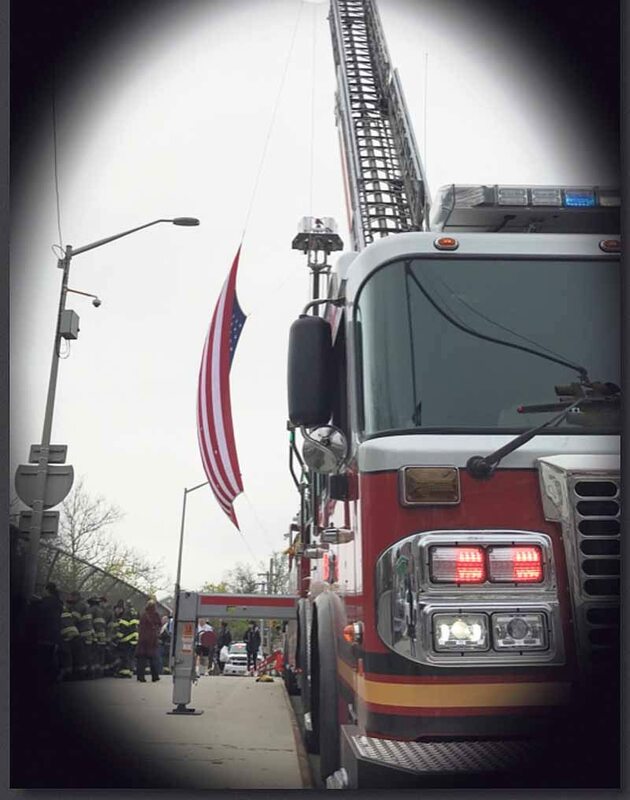 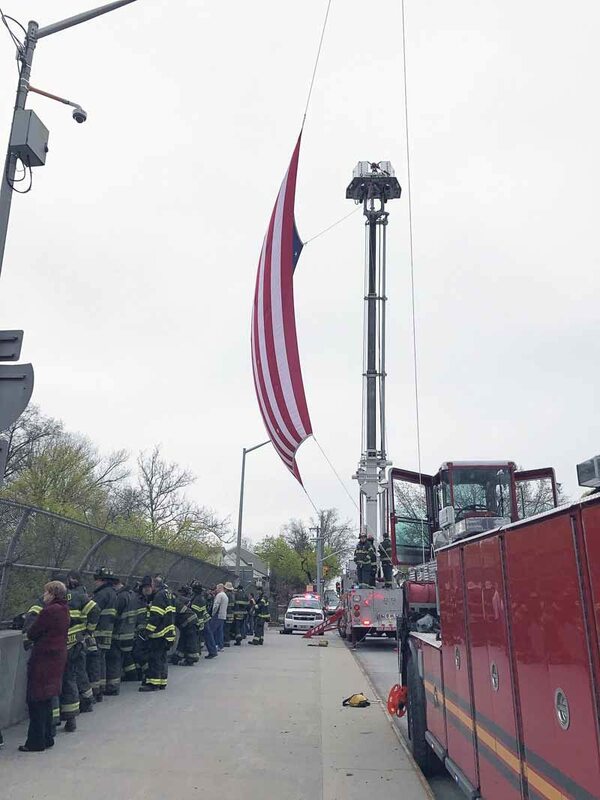 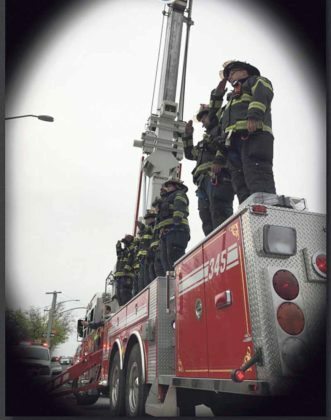 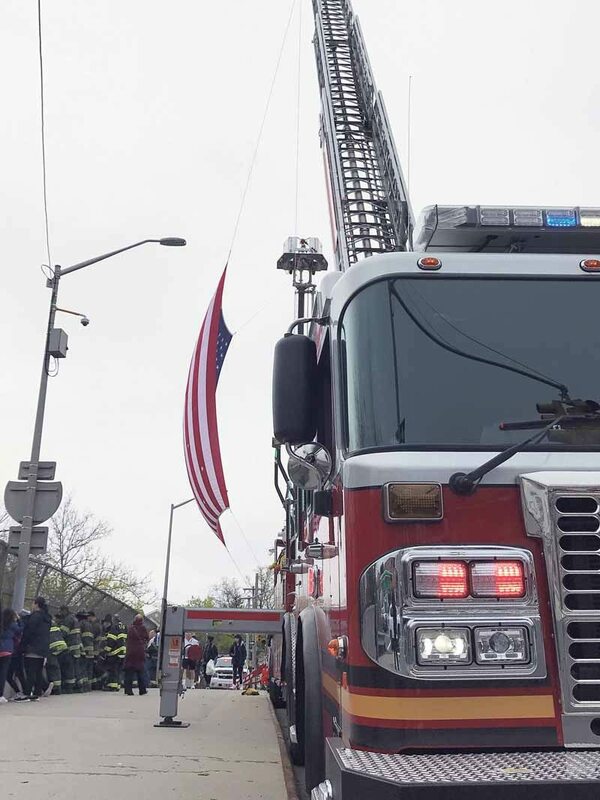 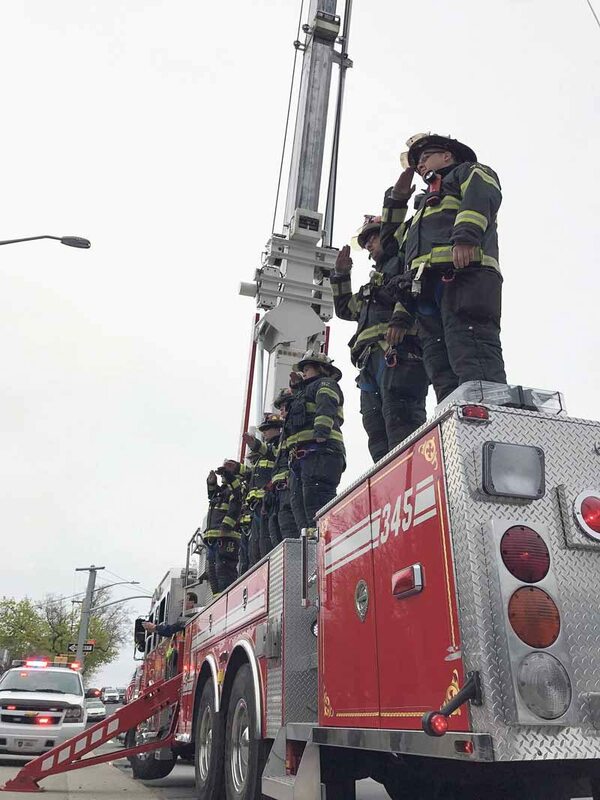 Those moved by the death of the Bethpage resident offered public and private displays of respect in Queens and on Long Island throughout the day. Firefighters were in full dress, standing on a firetruck with lights blinking, a huge American flag waving and other police and firefighter vehicles’ lights flashing. 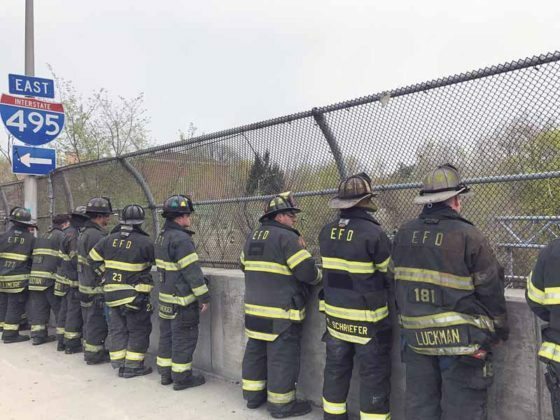 I suddenly heard, “attention,” and the firefighters on the truck were all saluting and the ones standing against the fence looking down on the expressway also saluted in unison. Below them on the expressway, fire trucks and sirens sounded. 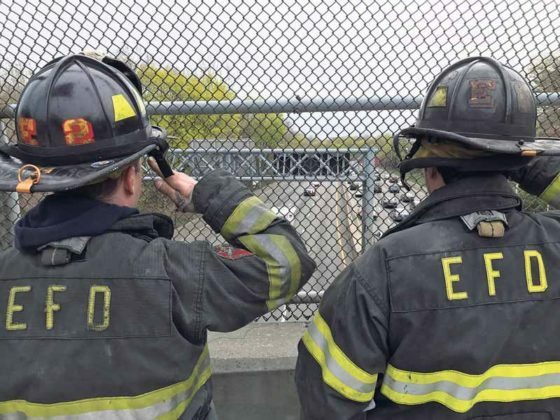 The hearse transporting Tolley was between the line of fire trucks and police vehicles, slowly traveling east on the expressway under the overpass. People on the street stopped in silent reverence—and you could feel the camaraderie of all the firefighters with this one fallen hero, perhaps thinking that any day it could be one of them. But the firefighter’s courage, bravery and selflessness in serving all of us can never be underestimated. So, I photographed what I was seeing and hope that these photos portray a little of the feeling passersby might get encountering this scene. God bless all these brave heroes who dedicate themselves selflessly to all of us. Be sure to thank every one of those brave firefighters whenever you can.